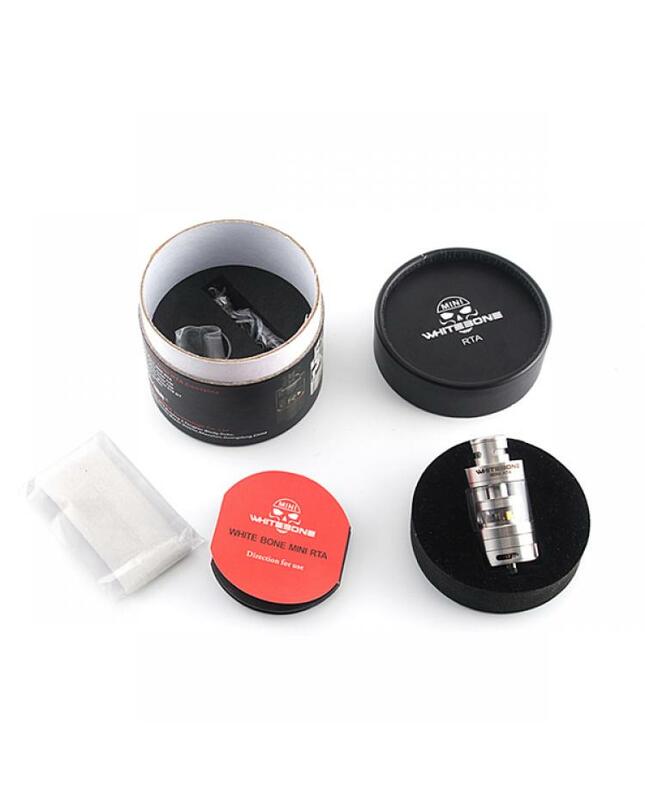 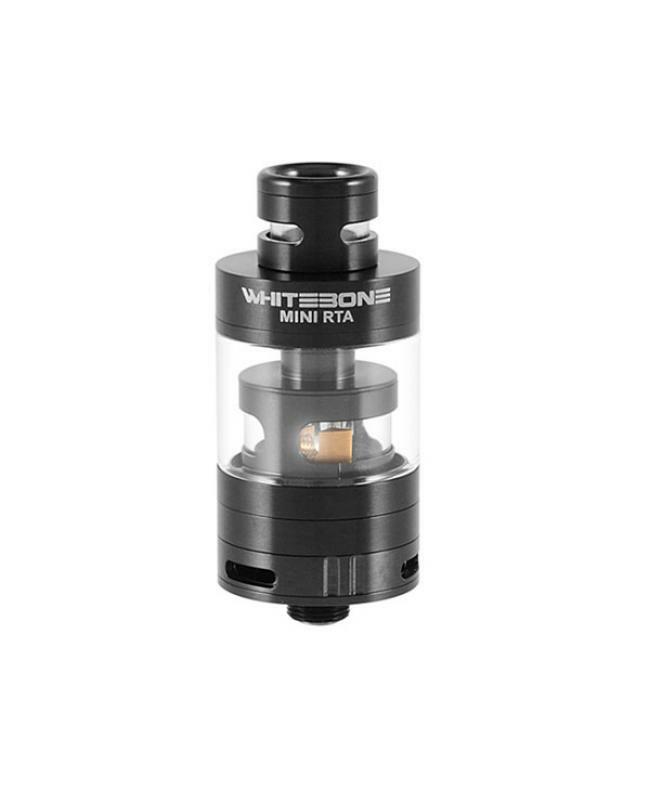 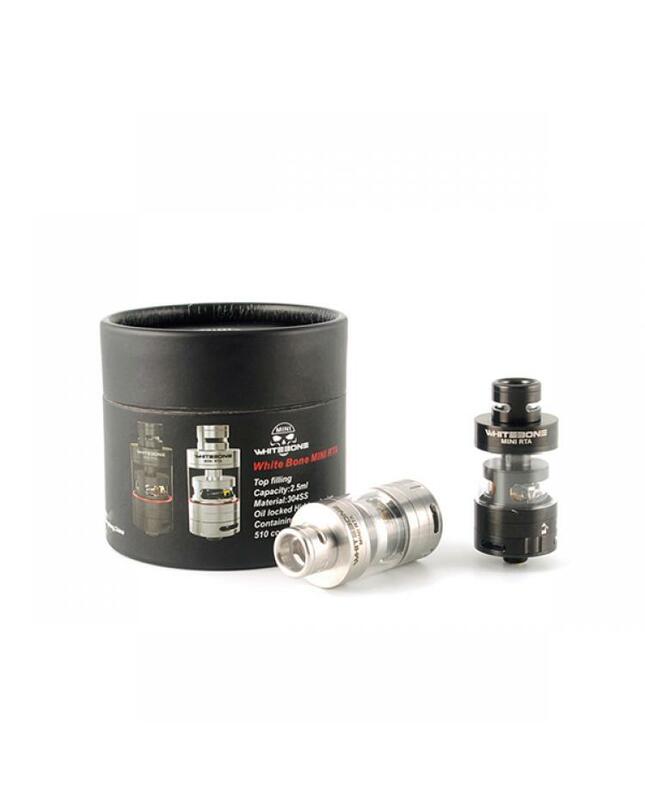 Whitebone mini is the mini version RTA by the oumier company, new rebuildable dripping atomizer made of 304 stainless steel and pyrex glass, can hold 2.5ml e juice, the diameter is 22mm, can hold 2.5ml e juice, with top refill design, easily inject e-liquid from side holes after removed the top cap, whitebone mini RTA with two big slots at bottom, vapers can adjust the airflow to your preference. 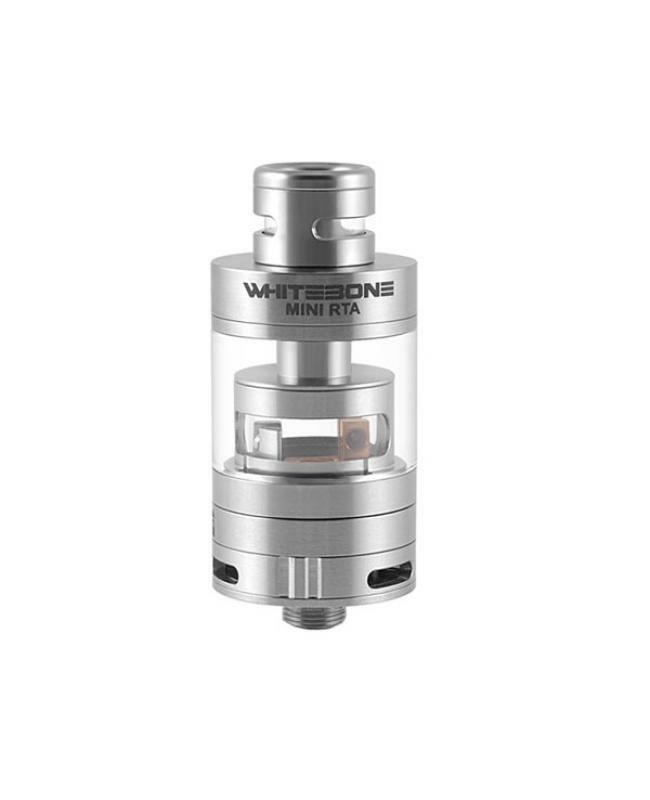 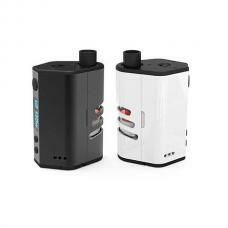 the oumier white bone mini RTA support single coil only, vapers can DIY your coils or use the pre-made coils. other features: oil locked hidden design and gold plated positive post.